Managed Print Services (MPS) is about much more than making sure you have plenty of toner. It’s a comprehensive solution that can make your business run more efficiently and sustainably, lower your costs and increase your data security. A good MPS program will include transition services, flexible options to add more devices to streamline workflows if needed, printer monitoring, supply ordering, software, hardware and security upgrades and should also include onsite and remote support that meets your needs. Here are some of the many ways Managed Print Services can help your business. 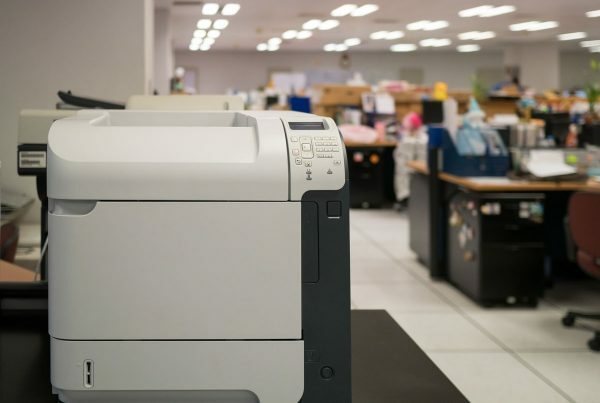 Enhanced Security – Today’s printers and MFPs require the same level of security as any other device on your network. An MPS provider will implement security measures to close any gaps with printer security. Device Management – Device management can help prevent downtime. Monitoring allows a provider to identify and resolve potential problems before they become bigger issues by delivering preventative and proactive maintenance. Rules-Based Printing for Cost Control and Security – Implementing a rules-based printing program can help to reign in print costs. Simple changes like defaulting to black and white, 2-sided documents can reduce consumables use, resulting in immediate cost savings. User authentication can enhance security and leave an audit trail to help monitor usage. Help Desk Support – With help desk support, you can free your IT team’s time to focus on core business initiatives, while better maintaining your printer fleet and reducing downtime. Automated Supply Fulfillment – You’ll never run out of needed supplies again. When supplies are low, your provider is instantly notified and supplies are automatically ordered and delivered, just in time. Greener Print Strategies and Cartridge Recycling – An MPS provider can help you to implement green strategies, replace devices with more energy efficient alternatives, and set up recycling programs. A cartridge recycling program can not only lower your costs, but can keep a tremendous amount of waste out of landfills. Cost-Per-Page Billing with One Monthly Invoice and Quarterly Reviews – With a single cost-per-page, and all services on one invoice, you’ll be dealing with one vendor for all of your print needs, from repairs to ordering supplies. With quarterly reviews, you can monitor your cost savings and reassess your program to increase savings. Implementing an MPS solution is a smart business decision that will streamline workflows, increase productivity, lower the costs associated with your print environment and help you to grow your business. Ready to learn more? Give an Allied representative a call and let us show you how MPS can help your business.